Canary has seen one pretty steep low this month after the big change in features for free users including the reduction of video recordings to a short measly 10-sec preview. But now the smart camera company is hoping to gain back some love with the introduction of its Google Assistant integration. 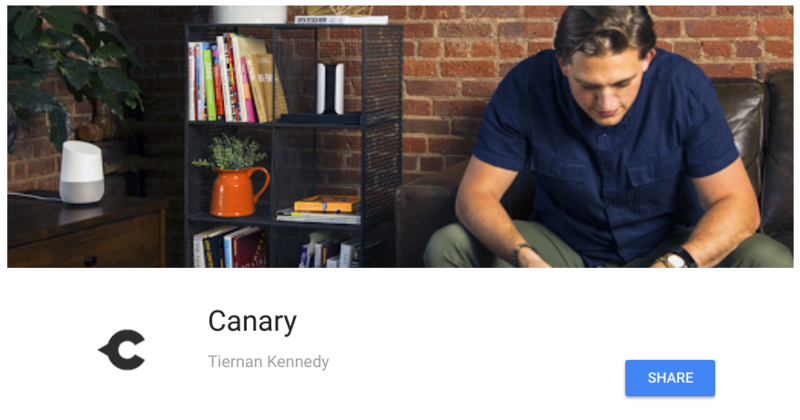 Starting today, you can head over to your Assistant's "Explore" section and look for Canary, or use this direct link, and connect your Canary account to Assistant. 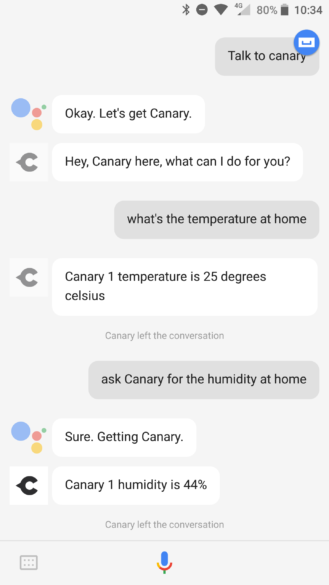 When that's done, you'll be able to ask Assistant to talk to Canary or immediately say things like, "ask Canary what's the temperature at home," or "ask Canary for the humidity in my apartment." You can also inquire about the battery life of the wireless Flex camera. For now, it looks like only environmental features are supported through Assistant. You can't change Canary's modes or inquire about the device's state. 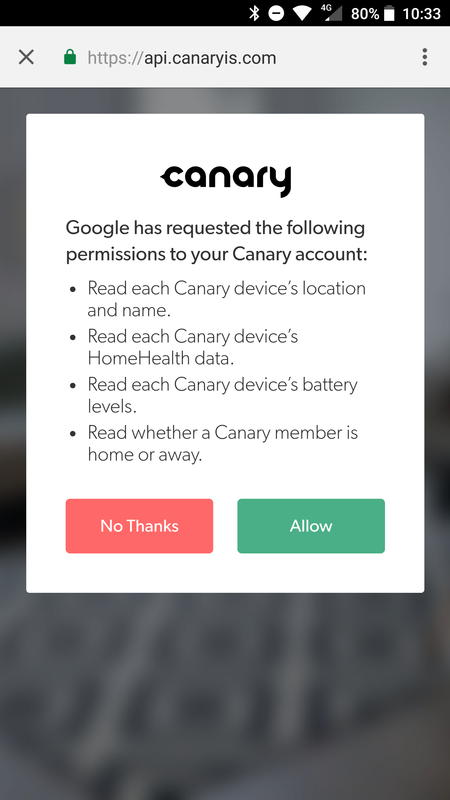 Canary says that you'll "soon" be able to ask which members are home and sound the siren, but the integration won't allow disarming the system to avoid any unauthorized actions. The commands that work (left) and those that don't yet (right). Even with the upcoming mode control and member inquiry, Canary still has a bit of road to travel to catch up to Nest and Logi, both of which let you view your camera's feed on a connected Chromecast. 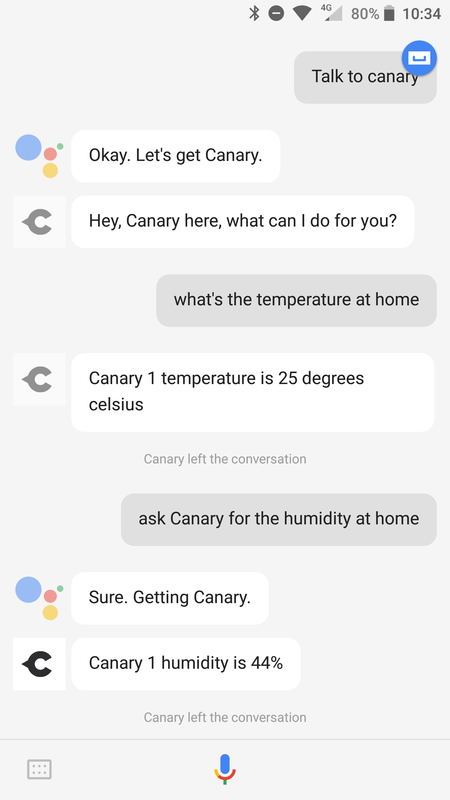 Still, this is a good start and one I wasn't holding my breath for, at least not this soon: Canary doesn't integrate directly with Alexa, IFTTT, or SmartThings, it just works with Wink and now Assistant. We should consider ourselves lucky. If you own a Canary camera or several, you can get started right away. 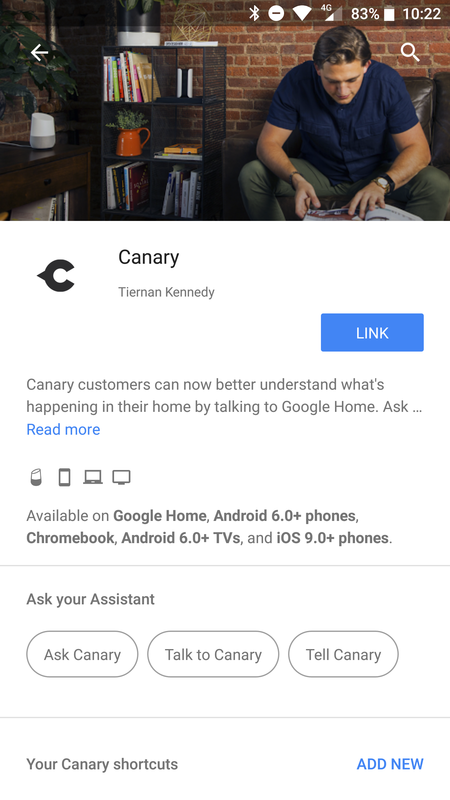 The Assistant integration is available for both free and Membership users, on both the all-in-one Canary and the Canary Flex, and works with Assistant on Google Home, phones (Android and iOS), TVs, and Chromebooks. NEW YORK—October 26, 2017—Canary, the NYC-based pioneer of smart home security, today unveiled integration with the Google Assistant, enabling a new voice-activated approach to home monitoring, now available to all Canary all-in-one and Canary Flex owners on both the free experience and Canary Membership. Starting today, with the Google Assistant on eligible Android phones, iPhones, and smart speakers like Google Home and Google Home Mini users, users can ask the Google Assistant questions to gain meaningful information about their home from their Canary all-in-one or Canary Flex devices. 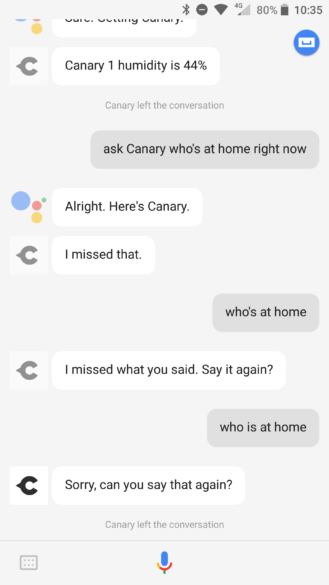 The new Google Assistant integration will soon include the ability to inquire about which location members are currently home, as well as the ability to sound the siren on Canary all-in-one devices. Commands available with the Google Assistant have been carefully considered to ensure that Canary devices cannot be disarmed or compromised by those not directly authorized to access a monitored environment. “Our users will continue to see more capabilities enabled through Google Assistant and additional smart home integrations with Canary all-in-one and Canary Flex,” added Martin.